Injustice And Bias Against Motorcyclists In The Personal Injury System: Why? 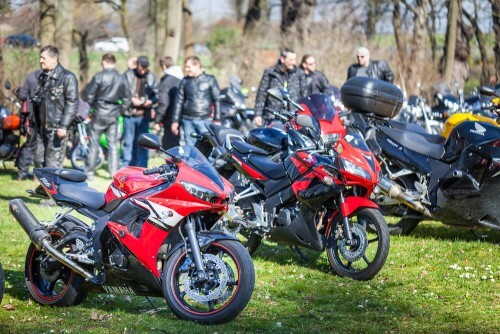 Proving that you are an innocent motorcyclist on your own is almost always impossible, so hire a Miami motorcycle accident attorney who will help you overcome the challenges mounted by the biased and unfair personal injury system. Home > Blog > Injustice And Bias Against Motorcyclists In The Personal Injury System: Why Is This Happening? Jul 28, 2018 | Under Motorcycle Accident | Posted by Dante Law Firm, P.A. If you have been injured in a Florida motorcycle accident as a biker, it seems that the worst is behind you, right? Well, wrong! If you choose to pursue compensation for your injuries, you are about to encounter the injustice and bias of insurance companies and their adjusters, juries and judges, against motorcyclists. But you are not alone. Motorcycle riders tend to recover a limited amount of damages – not the maximum compensation they deserve – after filing a personal injury claim, especially those not represented by a Miami motorcycle accident attorney. Today, our top lawyers from the Dante Law Firm, P.A., are going to explain why bikers often end up fighting injustice for motorcyclists in the courtroom instead of fighting for their compensation. It is not uncommon for motorcycle riders to receive nothing at all just because our society is biased against motorcyclists. After all, juries and judges are part of the society, too, so their judgments may not always be fair. The same goes for insurance adjusters. Not only are they part of the society, but they are also hired by their respective insurance companies to conduct unfair investigations, employ a variety of dishonest tactics to settle personal injury claim for as little as possible. The vast majority of juries, judges, and insurance adjusters drive to and from work by car, and just like the rest of American drivers, many of them despise motorcyclists. But why are we talking about juries, judges, and insurance adjusters? Because these are the people every injured motorcyclist will encounter on his or her path to recovering damages. So why do these people and car drivers in general hate motorcyclists so much? Let us explain. Why do car drivers hate motorcyclists so much? Many passenger car drivers in Miami and all across Florida hate motorcyclists because they make a lot of noise, which is often mistaken for high speed (but even if the motorcycle is noisier than other cars it does not necessarily mean that it is traveling faster than other cars on the road). Also, motorists hate it when bikers in Florida are lingering in their car’s blind spots, creating a risk of a motorcycle accident. And, of course, let’s not forget about lane splitting. “Lane splitting refers to a motorcycle riding between two lanes of stopped or slowed traffic, which is an illegal practice in Florida,” says our experienced motorcycle accident attorney in Miami. Many car drivers in Florida believe that motorcyclists are at-fault for most motorcycle accidents that occur in the state. But, in fact, in collisions involving motorcycles and cars, the car driver is much more likely to be at fault. However, proving this is always difficult if you the motorcyclist who was injured in a motor vehicle accident. Even if you have convincing evidence proving the car driver’s fault, you will have a hard time-fighting injustice and bias against bikers in the courtroom. In addition to the reasons outlined above, motorcyclists are less likely to receive a fair and maximum settlement compared car drivers due to multiple stereotypes about motorcyclists that persist in our society. You have probably noticed that books, films, and TV shows often portray motorcyclists as reckless, deviant, and irresponsible drunks who travel from one bar to another, wearing all leather, getting into fights, lane splitting even in states where it is illegal and traveling at speeds above the legal limit. While a small portion of motorcyclists does fit that description, it would be a huge mistake to paint all motorcyclists with the same brush. In fact, many of them are law-abiding citizens who take all safety precautions on the road but end up getting injured in motorcycle accidents because car drivers are more likely to violate traffic rules or engage in reckless driving. But proving that you are an innocent motorcyclist on your own is almost always impossible, which is why it is paramount that you hire a Miami motorcycle accident attorney who will help you overcome the challenges mounted by the biased and unfair personal injury system. Let’s get rid of the stereotypes and biases together. Contact the Dante Law Firm, P.A., by calling at (305) 949-2526 or fill out this contact form to get a free consultation.